OKLAHOMA CITY, Dec. 27, 2013 /PRNewswire/ – The holiday shopping season has come to an end, and to help the millions of American consumers who have received gift cards this year, the Retail Gift Card Association (RGCA) has released the top five tips to consider when redeeming your retail gift cards. Get your receipt: If possible, get the gift receipt for your gift card in case it is lost or stolen. This will not be necessary in every case, but it can help expedite the replacement process. 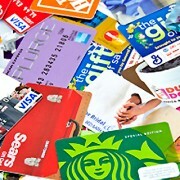 Take your time and breathe easy: Most retail gift cards have no fees or expiration dates. Check for incentives: Many retailers will offer special deals and incentives for customers using gift cards, so be sure you do your research before you shop in order to get the best deal. Socialize: Check the social media sites of the retailer before you shop to look for flash deals and reviews. Some retailers run contests for best gift card photos so you could get an extra bonus. Always take it with you: Everyone has had the experience of forgetting a gift card in a drawer. Instead, dedicate a spot in your wallet for gift cards so you never miss an opportunity to spend it.